Apts with Historysubmitted by Sarah S. - Mar 18, 2019 |Recommended: YesA great apartment community that offers many amenities. Apartment staff are very helpful and accommodating. Maintenance is very efficient and always willing to help. The community is full of others that help look out for one another. Overallsubmitted by Robyn U. - Jan 16, 2019 |Recommended: YesThe entire community is friendly and the quality of the fixtures were fantastic. Fun and Quiet Property thats worth every centsubmitted by Kevin B. - Jan 01, 2019 |Recommended: YesVery Fun and very quiet. Location is great and something about living in a converted mill brings out the charm in the property. Only downside I have experienced is the thin walls where you can hear neighbors easily.  Cozy Loft-Great Amenitiessubmitted by Diane S. - Jan 01, 2019 |Recommended: YesI have been living here at The Residences at Slatersville Mill for six months, and have enjoyed it very much. The staff is very friendly and outgoing. Myka and Melinda are awesome Maintenance is always there when you need them The grounds are beautifully landscaped, which makes it nice for walks. The Amenities are also great. Ive use the gym, basketball court and and have booked out the community lounge for a Christmas party and it was a great space to use Everyone really loved it. Its quite a peacful environment. I rent a loft on the 1st floor, I love the high ceilings and windows. The sunlight is amazing each day Tenants are super friendly and its really a dog friendly environment. Large and small included. A nice hidden gem in North Smithfield..close to Woonsocket and Uxbridge. I've ventured out to Uxbridge, and Bellingham quite a bit only 10-20 min rides . Nice area Occasionally you can hear your neighbors but I think that is just part of apartment living. A Heartfelt Thank Yousubmitted by Peter U. - Dec 11, 2018 |Recommended: YesI would like to thank the office staff, especially Melinda and Myka for their kindness in making sure I get my M.S. medication. Even when they close early, they make every effort to make sure I get it since it needs refrigeration. It is nice knowing we have a wonderful staff here that care about us as tenants. Love itsubmitted by Kim R. - Oct 01, 2018 |Recommended: YesBeautiful environment. Great neighbors. Great staff. We love it heresubmitted by Kirstie M. - Sep 28, 2018 |Recommended: YesWe have been here a little over two years, and we love it The staff is always friendly and helpful. Hassle Free Livingsubmitted by Louise - Aug 26, 2018 |Recommended: YesMy husband and I have lived here for more than two years and we are finding it very enjoyable. The grounds and amenities are well kept with frequent upgrades to the public areas. Matt and husband s maintenance crew are super responsive even on weekends . The office staff are always pleasant and professional. They have resolved a couple of parking lot issues for us in a timely manner. We feel very safe here and the other residents we encounter are lovely. As a long time Town resident I feel fortunate to have this housing option right in my neighborhood with shopping, dining, municipal buildings and library within walking distance. It feels like home.submitted by Mary K. - Jun 25, 2018 |Recommended: YesWe love the space we live in and the well-kept grounds. Having the valet trash pick-up is so helpful for our busy schedules. The availability of the amenities are great. It really has everything we need to call it home. Everyone we have met has been friendly and courteous. Our only complaint is that we can clearly hear our upstairs neighbors so the full privacy factor is not there. We don't mind so much if the dogs are barking or kids running around but when someone is yelling and swearing it is tough. Other than that small complaint, we are very happy with our move to the mills. Nice, safe, family place to live submitted by Daniel B. - Jun 02, 2018 |Recommended: YesComfortable, safe, friendly place to live. I have been a resident here for nearly 6 years and I'm pleased with my overall experience of living here.submitted by Jermaine K. - May 06, 2018 |Recommended: YesIt's great and for a property with so many units you still feel as though you have privacy and anonymity. In lovesubmitted by Kayla H. - Apr 24, 2018 |Recommended: YesIf I could buy my condo I would So quiet and surrounded by friendly neighbors and staff. The grounds are kept clean and orderly all the time. Family and friends come to visit and are so impressed. Pet Friendly - Dogs and Cats welcome! Upfront fee - $300/dog, $200/cat. Monthly Pet Rent of $50/dog and $30/cat. Breed restrictions apply, please contact the leasing office for details.